Get ready fir a new adventure in Jon Land's Texas Rangers series with Strong Vengeance. 1818: In the Gulf waters off the Texas coast, the pirate Jean Lefitte and his partner Jim Bowie launch an attack on the Mother Mary, a slave ship carrying an invaluable treasure. The Present: Fifth-generation Texas Ranger Caitlin Strong finds herself investigating the murder of the oil-rig crew that had found the long-lost wreckage of the Mother Mary. The crew also uncovered something else beneath the surface of the sea--something connected to a terrorist attack about to be launched by a mad American-born cleric who has recruited an army of homegrown terrorists. 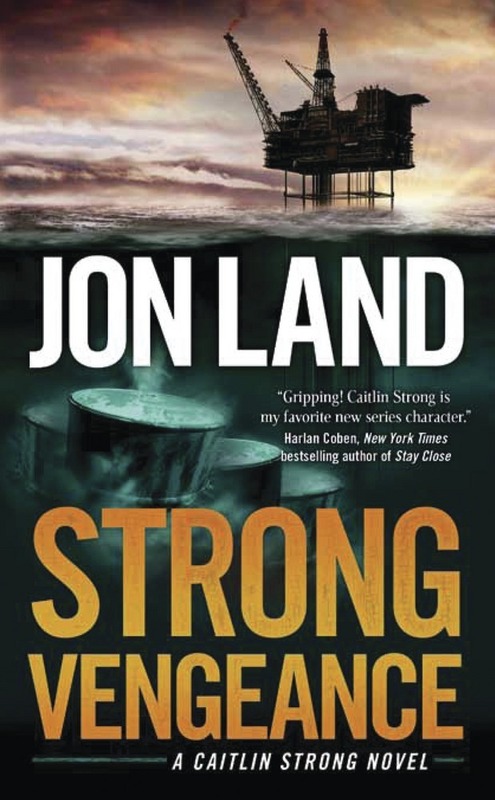 With the stakes higher than any she has encountered before, Caitlin races to find the connection between the secret treasure of the Mother Mary and the deadly secret hidden on the bottom of the ocean. Caitlin's only chance to defeat the terrorists lies in the darkest reaches of the Louisiana bayou. In the end, only the strongest of vengeance can win the day. JON LAND is the acclaimed author of numerous bestsellers, including Strong Enough to Die, Strong Justice, and The Seven Sins. Land lives in Providence, Rhode Island.